Both last and this year have been full of author firsts for me. In 2014, these ranged from signing my first novel contract for Forge of Ashes to speaking on convention panels to attending GenCon and much more. It was fun and exhausting and exhilarating in equal measures. First cover art. First readings/signings. First launch party. First time attending conventions with an actual book on sale. First time dealing with con sales or bookstore logistics. First time as faculty at a writing conference. 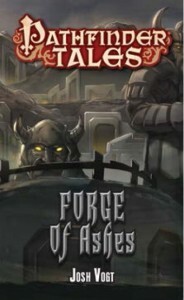 I’m currently working through my editor’s feedback for Forge of Ashes. Let me say that I will forever believe in the essential nature of having an editor give developmental feedback on a novel–whether you’re traditionally published, indie, kickstarted, or whatever. No matter how much I work on and care about a book’s quality, I’m never going to quite have the objectivity to catch all the major issues without someone stepping in and highlighting particular ones for me. Nor do I believe most other authors have that capacity either. Editors are awesome. Let’s leave it at that. At the same time, editors create more work for you. After all, their purpose is, basically, to point out an issue and go, “Yeah, that’s not working. Fix it.” And so you have to go in, cut whole scenes, shift others around, revamp character motivations, shift whole conversations in new directions, delete fun snippets you really enjoyed writing…and, above it all, keep track of how revisions both big and small are affecting plot and character continuity throughout the whole manuscript. But in the end, the hope is that the overall work is far better off for the extra effort. Many authors speak of editorial letters (or emails) in measures of trepidation. They fear getting fifty or a hundred pages of notes that have to be dealt with, or a plot point/character that gets altered in a way that changes huge swaths of scenes. So how’s it going with this first one? I don’t have much to compare it to, obviously, but I’d say mine is quite manageable. When I first got it, I read through the whole thing in one go and then set it aside for a couple days to absorb the feedback and start brainstorming. It ranged from single-word suggested alterations to overarching observations of certain character issues that needed to be altered from start to finish. 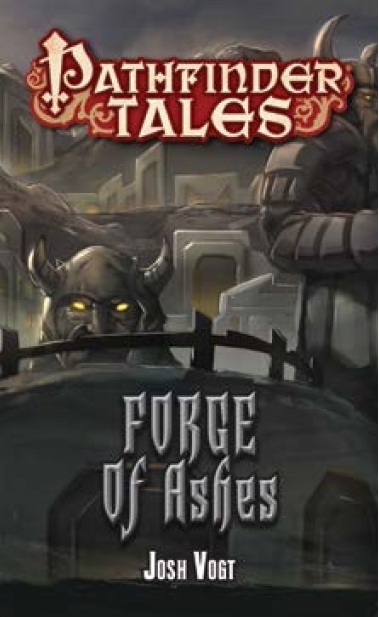 Also, part of the unique challenge with Forge of Ashes is it’s a tie-in work with the Pathfinder game setting. So I have to deal with my hodgepodge knowledge of various creatures, spell dynamics, and geographic layouts within that world. I’ve had to alter scenes because I’d written them in a way the rules didn’t allow–scenes my editor really enjoyed, in fact, but simply had to change because they couldn’t exist in this particular reality. Yes, it’s work. But as I go, I feel the book benefiting from it. I see characters gaining a bit more depth here and there. I see dialogue getting crisper. Scenes having more weight. And certain themes come to the surface I didn’t even realize were there. It makes me all the more excited to see how the final book turns out. It’s all part of the oft-invisible process of getting a novel onto the shelves and into readers hands, and I can’t wait to see how folks react. Okay. Enough time on bloggifying. Back to editing! Indiana Comic Con, here I come! Off to Origins Game Fair! Previous Post New urban fantasy novels contracted with WordFire Press! I’m mainly curious to see if anyone else has the same reaction to that specific spot. Guess we’ll see!